Hi and thanks for the great thread I'm hoping someone can help me I have z citroen relay 2015 with a broken dab radio I can select am / fm but not dab. I have been told that it needs a firm ware update which is why I have landed here. The radio model is a continental fiat 250 vp2 eve dab (without satnav) and the button config is slightly different to those above. Any help at all on where I can locate firmware update would be great as I've been quoted £150 to get it done which I can't afford. I thought it would have been an easy proxi alignment. Last edited by LordMetro; 14-11-2018 at 18:33. I believe the 250 model is supported by our firmware update package. I will take a look and edit this post whilst I search through the device parameters list for your 250 ECE model. The button layout should not matter, the installer will automatically configure the layout to your variant as each radio has an special identifier which identifies the button layout and the software packages to install (e.g. Button layout, TomTom routing software etc.). Also the chumps at Fiat did not realise, we can use a VPN to a ROW country to access the update packages with the usual Fiat links - so if we can sniff a new version I'll let you guys know lol. Your model is definitely supported by this update - the Fiat 250 model is listed on the description of the version, just use VP2_CO firmware zip packages and not 334 and you should be good to go I just do not know if yours is an ROW or APAC model but if you're from the UK then it is fine. If you got preloaded apps (aka, uConnect Live? I think?) then some users are reporting issues with the device not accepting the update. Go into the engineering menu and check your hardware variant ID and see if it matches one of these here. For starters, get the HW Variant ID so I can cross reference this with the firmware support list. You go into engineering menu (Hold Down: Radio + Media + Browse Butttons for 5-8 seconds.) and then go to Target Main Data, take notes on the 6th page, this variable: HWVariantID and CustomerInfo and these identify your radio model. And then take a look at this list for the hardware variant id (do ctrl+f and try and see if its in the list, so for me '0xD290E00' in hex just search for 'D290E00' and it gives '330 D4/D5 ECE RVC' meaning support is present for my radio in this firmware package. Last edited by LordMetro; 14-11-2018 at 18:41. Hi thankyou so much for your help I really appreciate you taking the time to help me. My name is Kevin & i'm new to the forum. Admittedly i don't own a Fiat but my good lady has a 2014 Fiat 500L Trekking with the 1.6 diesel engine. Great car & i must admit it makes a nice change to drive from my usual every day car. Although technically they are cousins as mine has a Fiat powertrain. Anyway, forgive me jumping in but this has been the most technical thread i have seen with regard to the head units in these Fiats and it's quite refreshing to read. I'm hoping someone can maybe help with a problem we are having. Since January the head unit has been playing up. It will switch on and plays the music from the last radio station it was tuned into, but none of the onscreen buttons appear. All you see is the Fiat logo. After a couple of minutes the system will reboot itself and this will continue over and over. It never fully boots up. I have tried having the battery disconnected for a couple of hours, and even resorted to removing the fuse for the system for an entire weekend, to no avail. I think i came across this thread before and pulled the update file. I have also tried to do that, but nothing really happens when the USB stick is plugged in. I can see the light on the stick flashing for a couple of minutes like it's being read, but then it stops. I suspect it would normally need some onscreen prompts moved on by pressing a button but again, nothing comes up on the screen. The system is usually left switched off now as it's pretty much useless now. It will occasionally switch itself on. As i work in IT this all seems characteristic to a hardware fault, but i wonder if anyone else has had this issue and if there is anything i can do to try and revive the system, or if i'm looking at a replacement. If i am looking at a replacement, is it just a case of plug & play or does the replacement need to be married into the car? Or is it possible to reflash the system again with the default image? If anyone can help i would be most grateful. She has been driving without a sound system since January and she would use the Bluetooth connectivity to chat with her elderly parents on the way home from work as well which she can no longer do obviously. Thanks for taking the time to read this, and hopefully someone can help. Quite possibly that the newer versions included the hardware information sections. Just go ahead and unzip the CO firmware onto a good known working usb (FAT32 formatted) and you should be good to go. Keep the car on just to be safe the battery wont die half way through the firmware update. You simply plug the usb into the slot and turn the radio on and wait for the prompt that states there is some form of update available showing the old and new versions and you allow it. If it is not compatible with your radio, the radio will not update and give you an error message before updating - this means you have a unsupported hardware variant (not one from this firmware package and will require a different one). You should only use firmware's I have found if you are within the EMEA region (aka Europe), you should NOT FLASH if you have a ROW model (Rest Of World) or else you will risk bricking the device. Well you could always try to flash the firmware package again, not too sure if it boots enough to load the updater though as on screen prompt would let you choose to flash the firmware. I mean there is always a way, this is a bit more harder in your case, to flash it you'll probably need to directly write each partition image onto the nand chip directly. Not too sure about this, its a electronics expert job. It could also be some mosfet/traces on the pcb that are faulty? Potentially wiring may short somewhere, fuses etc idk, the rebooting can be overheating also, its many factors. If you have warranty (3 years Fiat), I would just go ahead and ask them to replace it - if not well just replace it with another uConnect 5 or 6.5 models or you could use an interface with a custom din one or try modding out an 7 to fit in and then performing an proxi alignment to the body computer. If you're thinking about going to the dealership, I would ask for a quote as they will rip you off. In Italy they were charging some extortionate prices for the 5' nevermind the 7. Last edited by LordMetro; 16-11-2018 at 09:37. Thanks so much Lord metro is this the correct link I need to use to get the firmware ? There's the newer 13.00.57.05. I'll try that if not then go for the previous version 12.x. Any firmware with CO (Continental) radio frame models will work. Anything other than CO so 334 or any other Fiat project code ones will not be compatible as they're specifically made for that Fiat vehicle frame code. Thanks for your reply LordMetro. The car is out of warranty otherwise i would be straight down to the dealer with it. No sadly it doesn't boot enough to show the prompts. As i say it seems to read the stick but nothing comes up on the screen. Sounds like a replacement unit is needed. I just thought i would ask in case there was an easy way to reload a default ROM onto it again, ie connecting it up to a laptop and Telnet into it and use an FTP transfer or something along those lines. It was worth asking. So if i swap in a replacement it should just work, no need to set it up on the car with diagnostic software? Yeah I know what you mean. I worked on a DD-Wrt project on supporting an unsupported device and I messed a lot with telnet/ssh. There is a diagnostic server on the uConnect unit but I am unsure as of how to access it or what it even does! Everything has a bootloader and this runs on a modified WinCE system, so yeah there should be a solution but I have not seen anything as of yet. 2) Hold down the Phone and voice recognition buttons at the same time for thirty seconds. If this doesn't work I would recommend visiting your local Jeep dealership for further diagnosis. Let me know if you have any additional questions! 1) put key into ignition and turn to on but dont start it. 2) hold the VR and green phone symbol on the steering wheel for 30 seconds. 2) turn key to off and then open driver door for 30 seconds. 4) close door put key into ignition and turn on again. To reset Uconnect 8.4 (though apparently not 5.0, which is surprising), press Browse + Mute until the screen goes blank. Hold Mute and Tune buttons for reboot. This makes no changes to your settings, it is just a reboot procedure. Hold temp up and down buttons to access engineering menu. This will wipe all of your personal settings and take it back to factory default. It will also load with the SRT logo and take several minutes to hours before it will look the same as it did before. Last edited by LordMetro; 16-11-2018 at 19:35. Hello everyone on the forum. I'm sorry but I do not know English well and I'm using a google translator. I have a question about updating the Uconnect 5 'model 330 radio to the 500L Fiat. Is it possible to change the default language that will be installed during the update, and what changes in the installation files do it require? So if i swap in a replacement it should just work, no need to set it up on the car with diagnostic software? 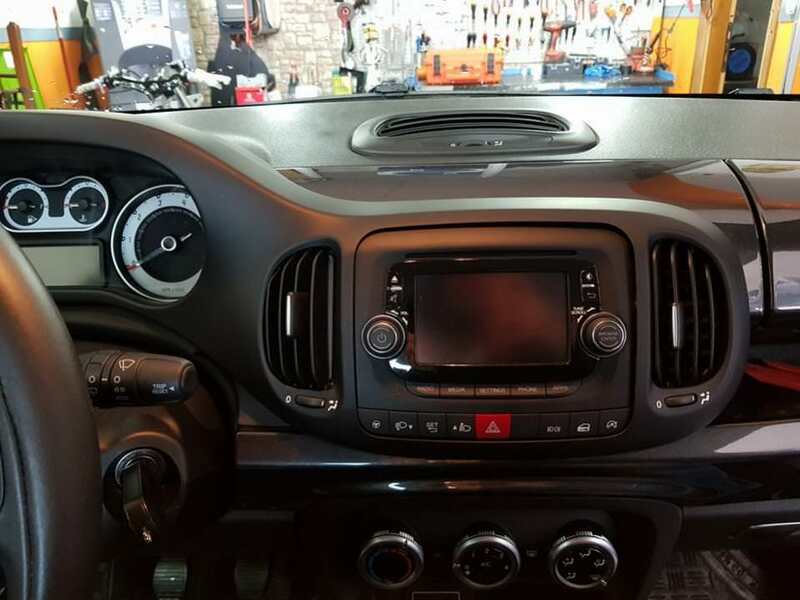 If you replace the unit with an aftermarket radio, as I did, you do not need to change the setup with diagnostic software. If you replace it with an used UConnect, I don't know, but there have been postings here from someone who did just that. Thanks LordMetro. Sorry i had meant to reply to you before now. Yip, seems like a replacement head unit is needed then . Ez2517, yes i was meaning swap like for like with a used one. Sorry i must have missed the other posts where others have done it. I'm sure i've read elsewhere that a code needs to be put in if it's come from another car hence my question. Thanks for your reply. I'm new here. 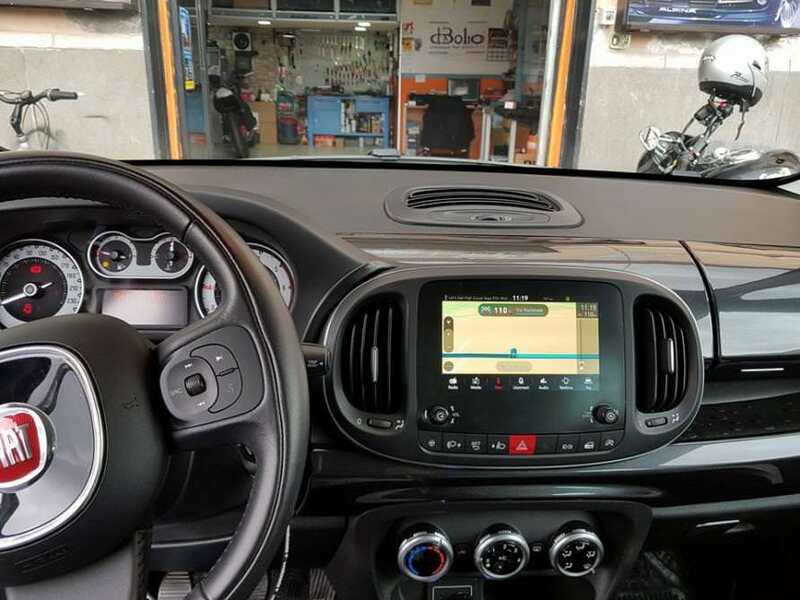 I bought a Fiat 500L 0.9 Twinair 2014 but had a gps problem. The gps don't work. When I press the "nav" buttom the system stay loading and don't do anything. I tryed to upload a foto but dont have permission to do it. I don't own a Fiat Ducato but a Peugeot Boxer instead that I bought in 2016. It has a uconnect 5 inch unit (it should be in a very old version, probably 2014). Do you think I can install any firmware with CO (Continental) or are they Fiat exclusive? If so, can I directly install the last version or do I have to update first with some older updates?